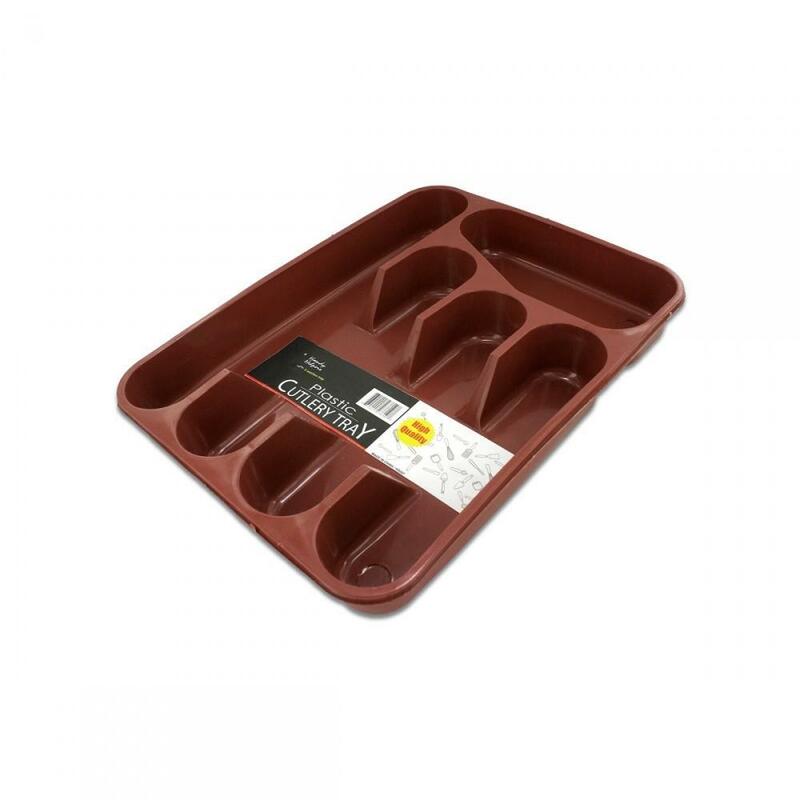 This cutlery tray is a kitchen essential! Has five different sections for all storage needs. Comes in various colors such as dark green blue and brown. Each tray is packaged loose. Measures approximately 9 3/4" x 12 3/4" Colors: browngreenblueburgundyCondition : This item is brand new unopened and sealed in its original factory box.